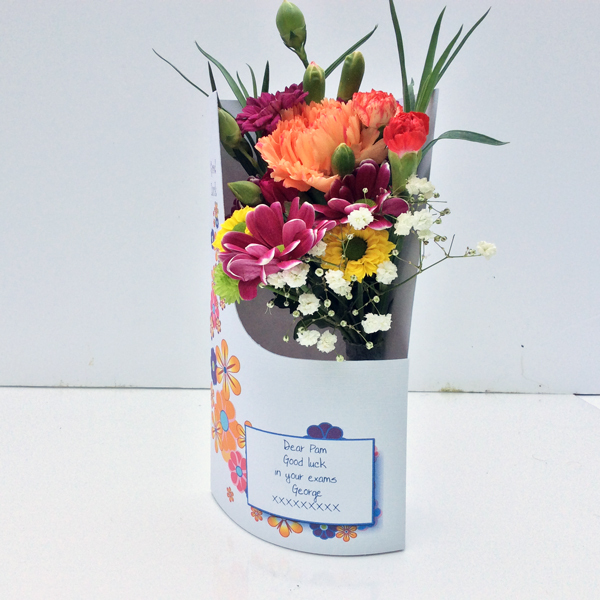 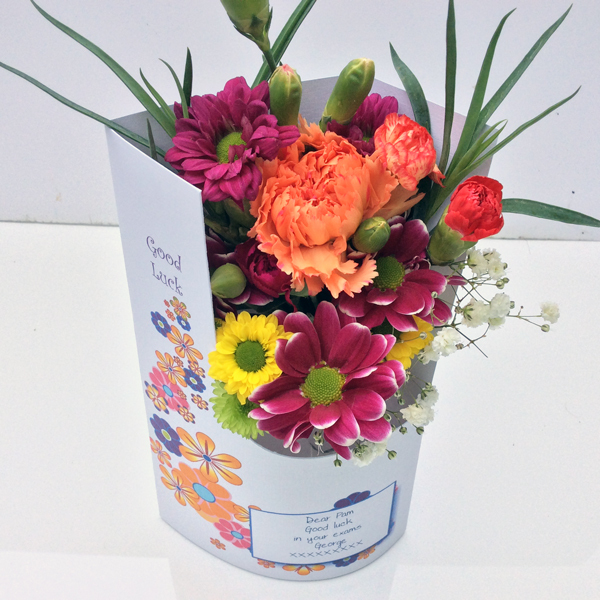 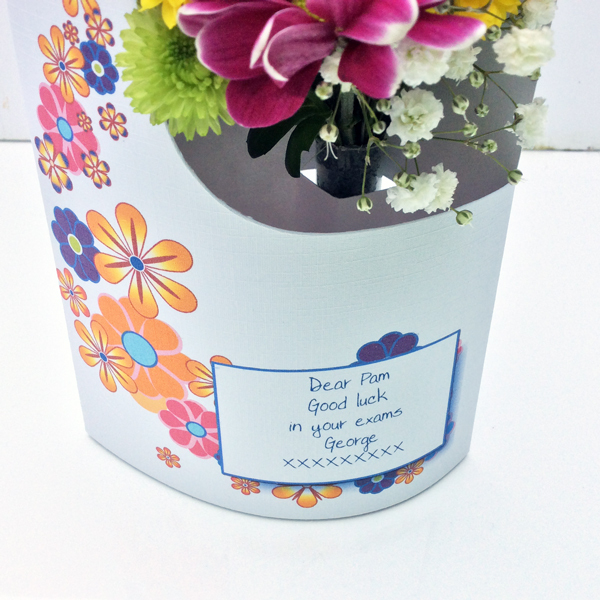 Funky Flowers Good Luck card is our newest design. 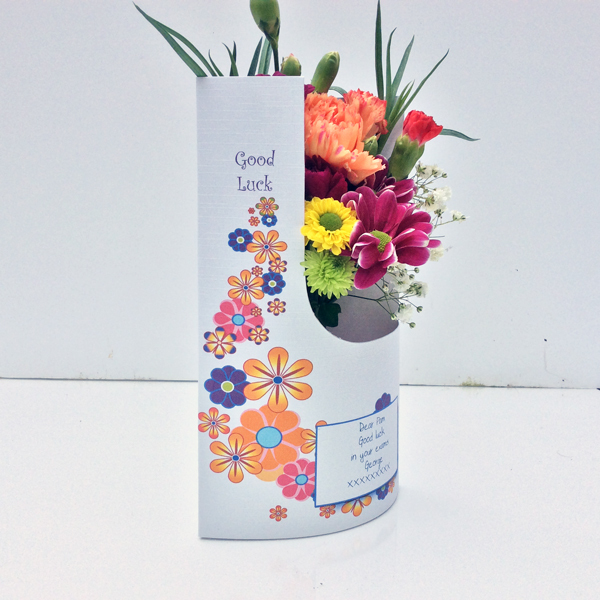 Ideal to card to send your best wishes. 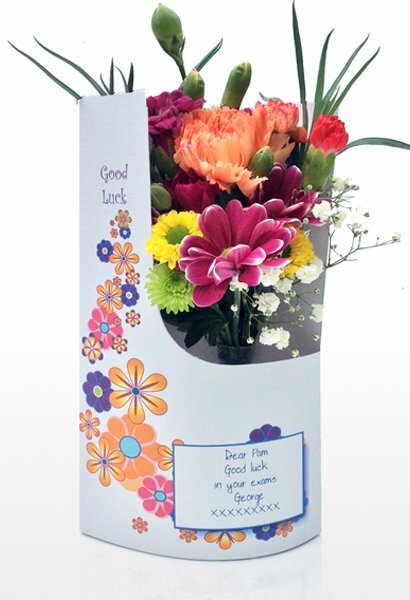 With your own message printed in the box on the front of the card this will make a nice gesture.